In August 2011 Britain is struck by the largest uprising and looting in post-war-history. Mainstream media and political commentators quickly agree: The ‘scum’, responsible for all this havoc and looting, needs to be ruthlessly wiped off the streets. The insurgents did not give any interpretation of their behavior, nor did they raise any political demands. While community activists, unions and critical journalists blamed austerity measures, neoliberalization and the racist stop-and-search-regime for the riots they did not speak on the insurgents’ behalf. Drawing on the concept of ‘dis-/articulation’ this paper shows how possibilities for social and political engagement have decreased in late neoliberalism. 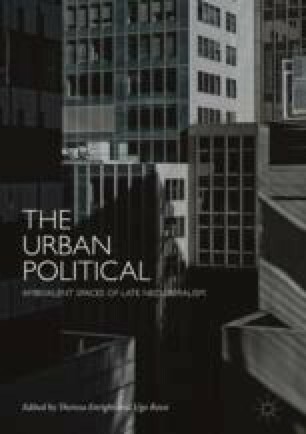 It argues that in order to understand its political legacy the riots must be read as ‘spaces of appearance’ of political subjectivity. I would like to express my very great appreciation to the editors for their valuable and constructive suggestions during the writing of this research work. My grateful thanks are also extended to Michael Müller for all the discussions that shaped this article.